In Ventura Park Cancun the Wet’N Wild world is All About Fun! Wet’n Wild is one of the seven incredible worlds of Ventura Park Cancun. Experience an ocean of fun with towering water slides and incredible attractions at this fun-filled park located at the southern end of the Cancun Hotel Zone. 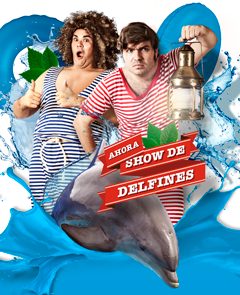 In addition to All Inclusive (unlimited meals and non alcoholic drinks) in the price, you’ll also get to see the exciting dolphin presentation! Ventura Park Cancun Amusement and Water park.